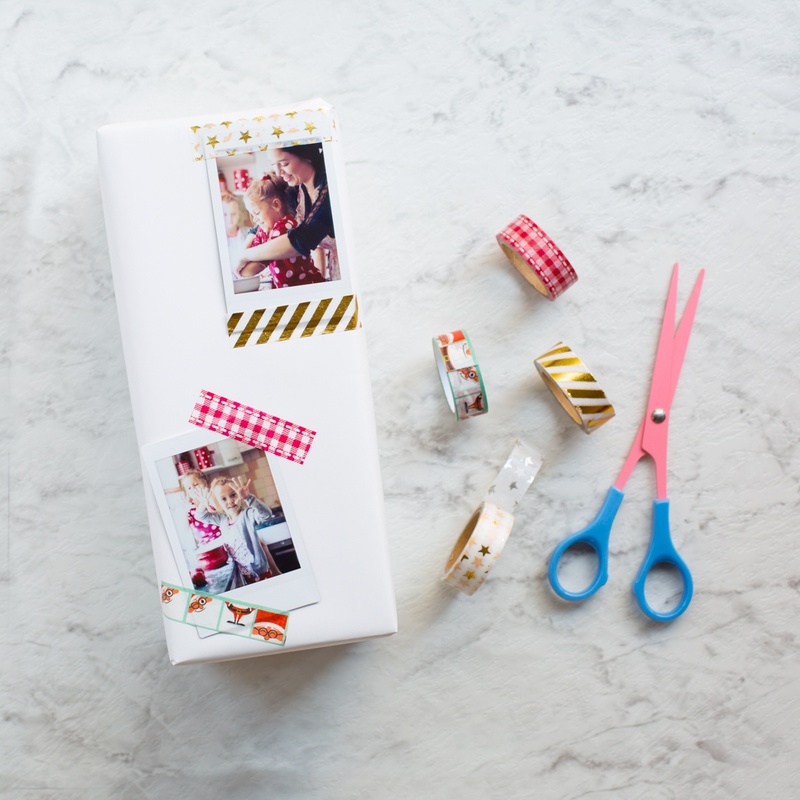 Personalise your presents under the tree with Instax Prints and Washi tape! This makes gift giving all the more special for your loved ones during the holidays when your precious memories are displayed on the paper. Step 1: Wrap your gift in the wrapping paper of your choice. 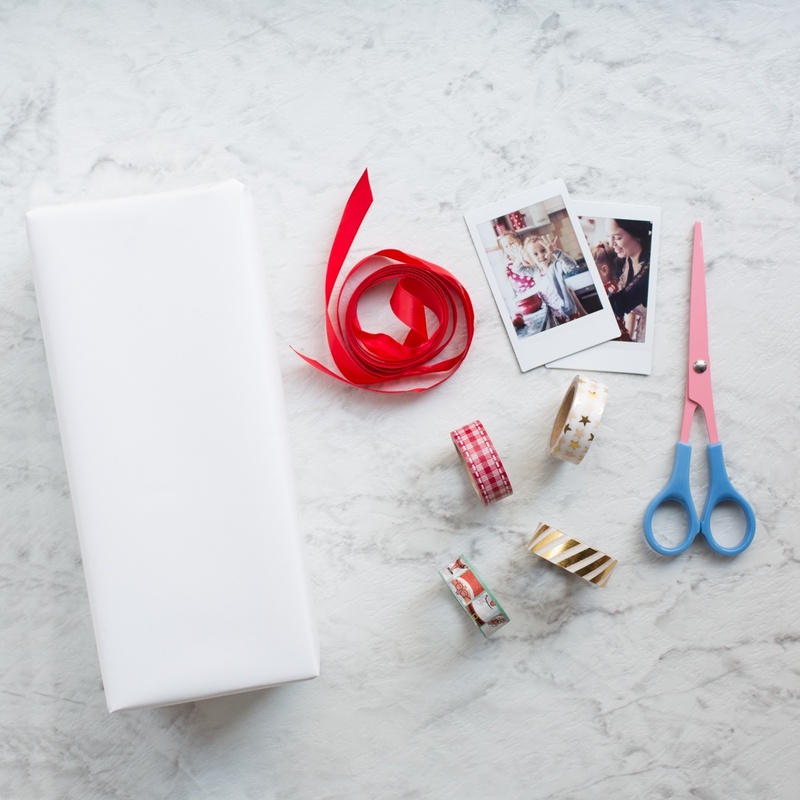 White paper is perfect for making your photos and ribbon pop. Step 2: Lay out two of your favourite photos on top of the gift. 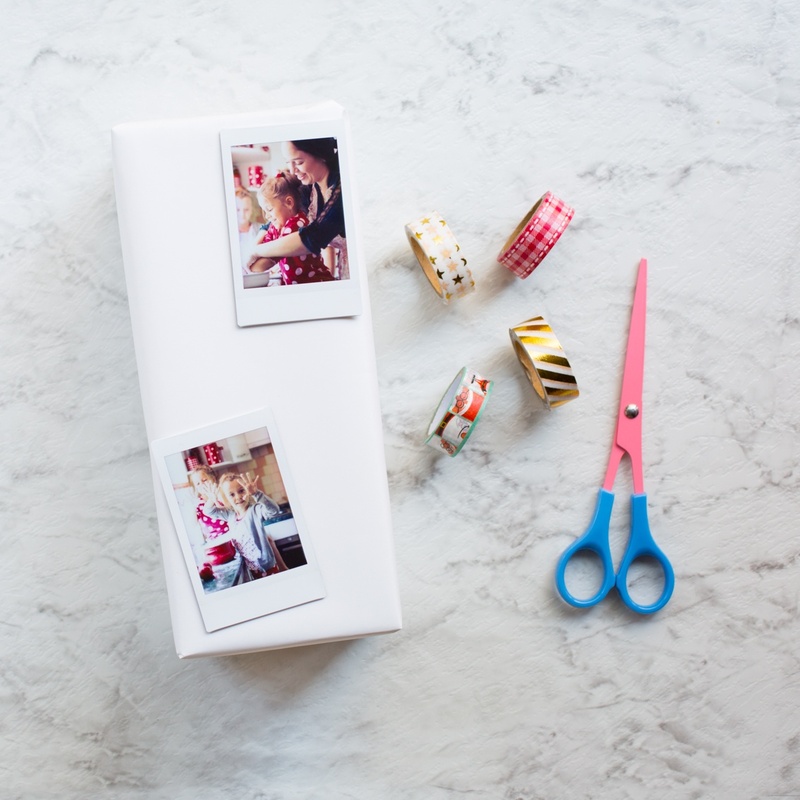 Placing the photos on opposite ends of the gift ensures they’ll be visible after the ribbon is on! Step 3: Trim a couple of pieces of washi tape and place these over the top and bottom of the instax frames to attach. 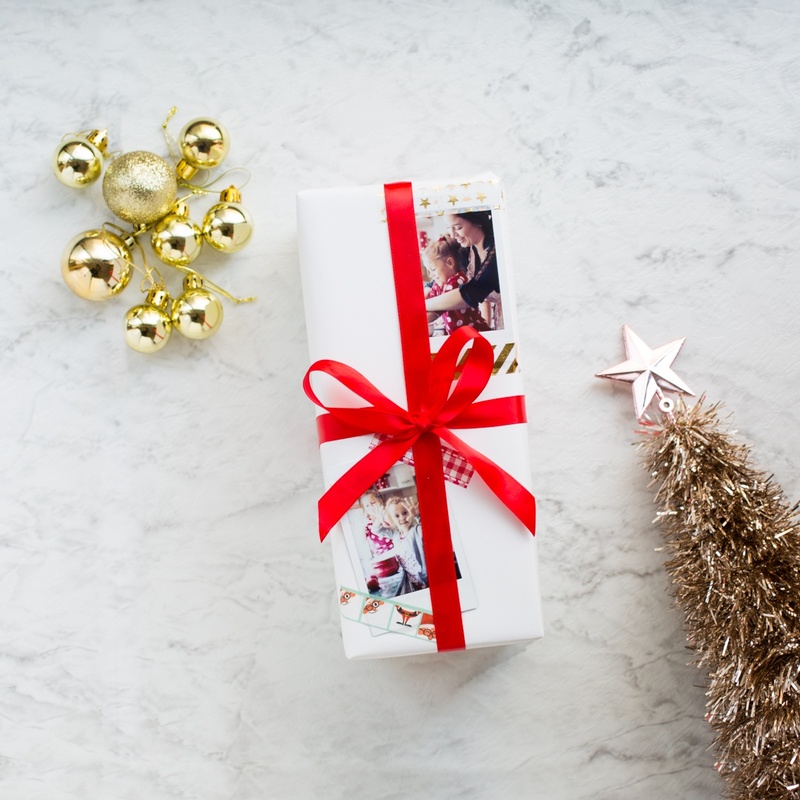 There are some super fun Christmas themed Instax Washi tapes available that are the perfect complement for decorating Christmas gifts! Step 4: Use ribbon to wrap your gift with a traditional bow style. A traditional red ribbon together with the funky Christmas tapes make a great pair!